This entry was posted in Hermetic Library anthology and tagged 2016, anthology album, music, The Implicit Order on January 26, 2017 by John Griogair Bell. 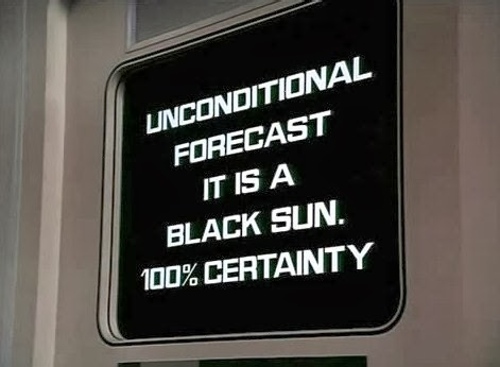 Professor Bergman in Space: 1999, “Black Sun” [HT Unmann-Wittering]; from the thin-blue-line dept. Reginald Dalton in Blackwood’s Standard Novels, Vol X; from the gpoy dept. “Before the Garden Gnome, the Ornamental Hermit: a Real Person Paid to Dress Like a Druid” — Allison Meier, Atlas Obscura; from the we’ll-make-great-pets dept. “The future of the library catalogue“, a presentation from Facet Publishing about Catalogue 2.0: The Future of the Library Catalogue, edited by Sally Chambers; from the met-a-data-for-drinks dept. Amy Brose quoting presenters at Library Tech Conference 2014, via tweet [HT Nancy Sims]; from the golem dept. “Black Mirror” — Arts University Bournemouth; from the get-to-the-art-of-the-matter dept. “Vatican Library to digitise archives with Japanese support” — BBC News Europe; from the but-what’s-the-cocaine-and-condoms-for dept. “Snowden At SXSW: Encryption Is ‘defense Against The Dark Arts In The Digital Realm’” — Ellen Rolfes, PBS Newshour; from the gonna-wash-that-horcrux-right-out-of-my-hair dept. “How to become a Mage (or Fairy): Joséphin Péladan’s Initiation for the Masses” — Sasha Chaitow; from the art-you-here-to-a-muse-me dept. 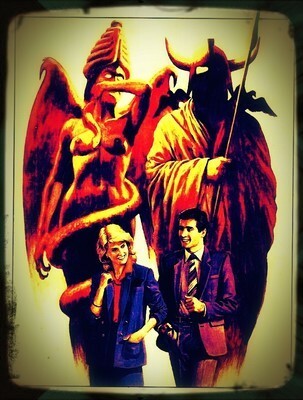 “When did Thelema become the Westboro Baptist Church?” — Nick Farrell; from the thelemites-as-tourists dept. “Embracing Questions” — Thomas Zwollo, Spiral Nature; from the thelemites-as-scientismists dept. Richard Feynman quoted in “We need more scientific mavericks” — The Guardian Letters; from the where-is-your-science-now dept. John Selden quoted at “Disputes in Religion” and “A Magnificent Feast” — Michael Gilleland, Laudator Temporis Acti [also]; from the mind-your-own-business dept. Ovid, Metamorphoses, quoted at “Bumblehive” — Michael Gilleland, Laudator Temporis Acti; from the welcome-to-the-matrix dept. And now, this important announcement from Mad Malik (aka Greg Hill) — Adam Gorightly, Historia Discordia; from the we-love-you-spider dept. “Learning Magic” — Ian Corrigan, Into the Mound; from the no-man-is-an-island dept. “The new student should not plan on being a unique genius. Instead, the new student should read traditional books and find a working teacher (that applies to learning magic, gymnastics or saxophone). Plan to spend a few years doing exercises and experiments, duplicating previous efforts, and building skills. Of course we all pursue our little personal schemes along the way, and eventually we get enough skill to actually try them. “Magicians are Opinionated Assholes” — Rufus Opus, Head for the Red; from the here-we-are-now-entertain-us dept. “The Suitcase At The End Of The Earth” — Gordon White, Rune Soup; from the i-and-i dept. Interview with Jim Morrison by Lizzie James; from the take-a-mask-from-the-ancient-gallery dept. “A triangular book about alchemy” — John Coulthart, feuilleton; from the one-less-corner-to-land-on-your-toe-tho dept. 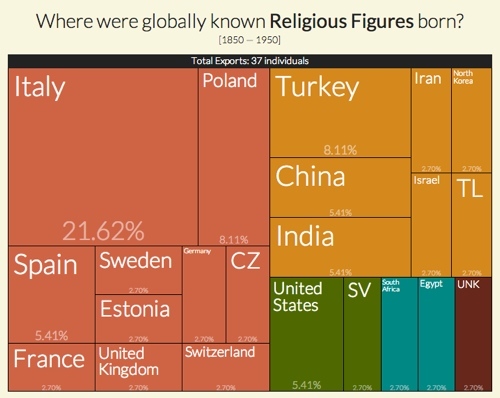 “Where were globally known Religious Figures born? [1850 — 1950]” — Pantheon: Mapping Historical Cultural Production, Macro Connections Group at MIT Media Lab. Mentions of keywords Aleister Crowley and Thelema in books from 1800-2008 — Google Books Ngram Viewer. This track was recorded while in a state of trance induced by chemical & spiritual tools. This entry was posted in Hermetic Library anthology and tagged 2013, anthology album, cassette culture, cohort records, experimental ideas, imbolc, mail art project, music, occult humor, off kilter, spiritual tools, The Implicit Order, wholeness, winter on February 11, 2013 by John Griogair Bell. 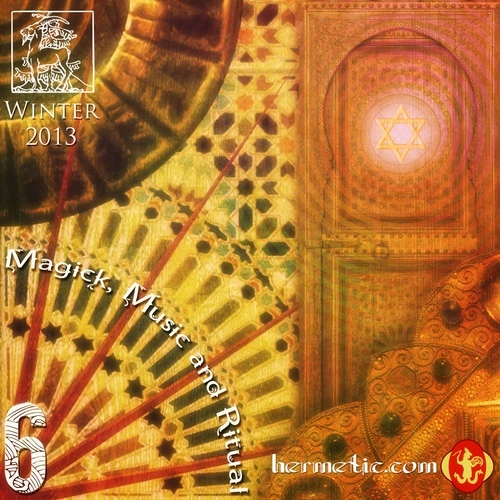 Magick, Music and Ritual 6, the Winter 2013 album, from the Hermetic Library Anthology project is now released for immediate digital download! 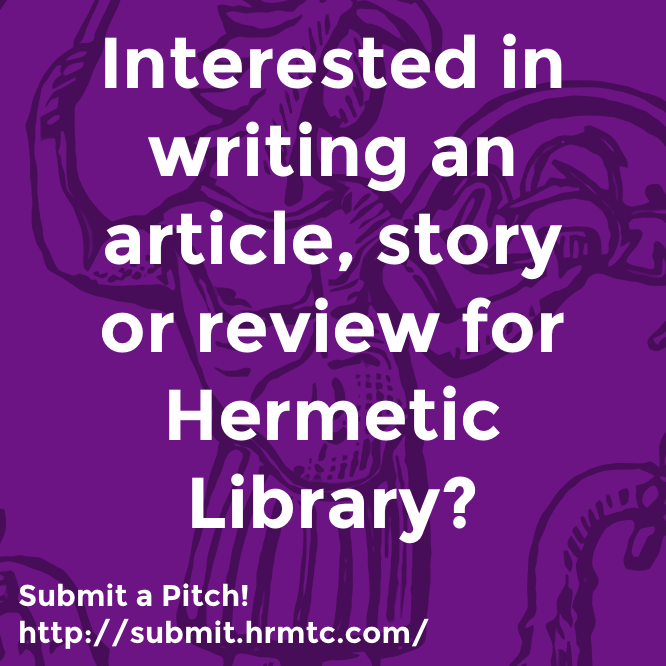 Be sure to also check out the entire Hermetic Library Anthology project, including previous albums and information about the upcoming inaugural issue of the new Hermetic Library Journal. Gander at the call for submissions to Summer Solstice 2013 anthology journal, with a deadline on Mar 21st, and look for a call for submissions to the Spring 2013 anthology album on Mar 15th! This sixth issue from the Hermetic Library Anthology Project is being released on Imbolc in Winter 2013, at 15° Aquarius. This is the first album in the second full year of releases, planned for all four quarters in 2013. Magic, Music and Ritual 6 brings together 15 tracks, from new and returning artists, with over 2 hours of music spanning 2 physical CDs. Magick, Music and Ritual 6 could be a story of a full night’s sleep, but this Winter album seems a fitful rest. There is a bit of tossing and turning here trying to get comfortable through the night. Some thoughts from the daytime of the year have stayed in mind and must be allowed to pass through our minds without attachment. No full story is without healthy variety, evidence of a life being lived. Winter is a great time of year to contemplate ourselves, our relationships and the world. We can be thankful for the past, while still happily leaving it behind. We can be proud of ourselves and our lives, while still giving ourselves room to breathe, allow for change, and permission to rest. We can be part of the world and participate in seasonal celebrations which echo across the globe, while still choosing for ourselves what to hold close and what let go. Especially in Winter, we can contemplate a vision of what service we will offer in the new year to others that is also in service to ourselves, while recognizing what is not in service to either and rightfully refused. One of the fruits that can be savoured from all our preparations prior to the arrival of Winter is the luxury of time in this night of the year to contemplate and prepare for the coming year, the new beginning to come at the dawn that will be another Spring. This can be a personal ritual in liminal space where we can banish what needs to be past, evoke from ourselves an intentional future, and freely transform ourselves. The artwork and design of this issue was created by Mustafa al-Laylah. This is the first of a full series of covers which will span the entire year. The cover design of this issue is the upper right quadrant from the full set of covers this year which can be combined to make a larger image, a collectable poster that combines the elements of all four seasons. The upper right quadrant, in this case, being related to a position on the wheel of the year and the typical correspondences between this time of year, this Winter season, and various things associated such as magical weapon, element, zodiac, cherub and so on. Mustafa has done a great job in combining various correspondences into a compelling and interesting image for this cover, and we can all look forward to seeing the whole image revealed through the rest of the year. 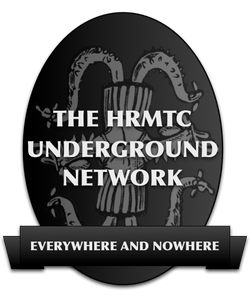 This entry was posted in Hermetic Library anthology and tagged 2013, anthology album, Apollon, dessicant, Dr.Hans, Ego and the Ids, Exomène, imbolc, kaosmind, magick, mahatma dali, michael amason, music, Ralph Buckley, ritual, shams93, The Implicit Order, The Psychogeographical Commission, Troy Schafer, western esoteric tradition, winter, yzzy kyzy on February 3, 2013 by John Griogair Bell. “Rapture” is a collaboration track with Ars Sonor added by The Implicit Order in the Hermetic Library audio pool. 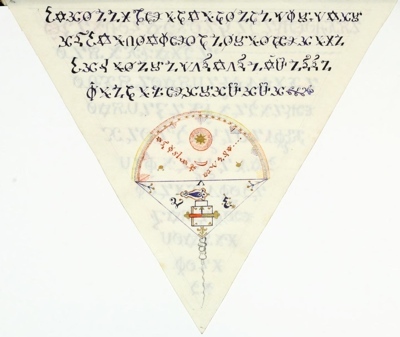 This entry was posted in Hermetic Library audio and tagged Ars Sonor, audio, music, The Implicit Order on November 24, 2012 by John Griogair Bell. 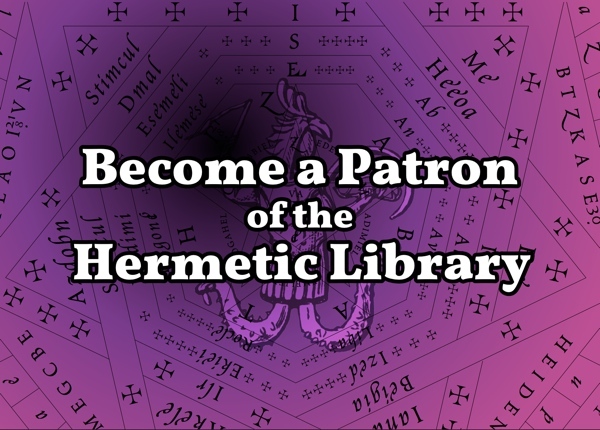 “(Your Invitation To) The Demonic Dinner Party” is a track added by The Implicit Order in the Hermetic Library audio pool. This entry was posted in Hermetic Library audio and tagged music, The Implicit Order on December 5, 2011 by John Griogair Bell.